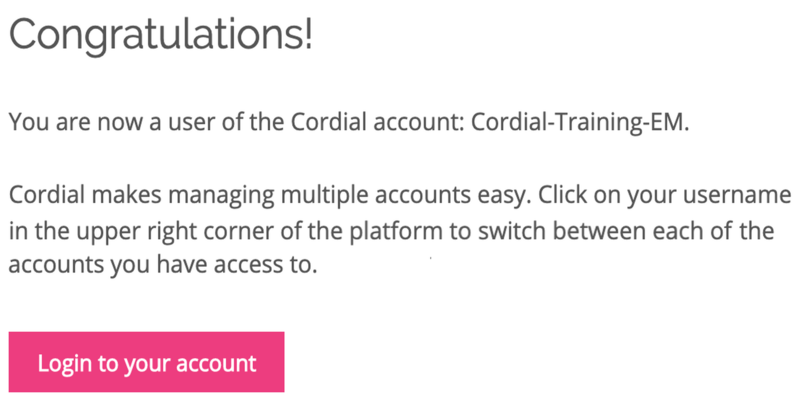 To add additional users to your Cordial account, navigate to the Users page under the account menu. Click on Invite New User to add a new user. 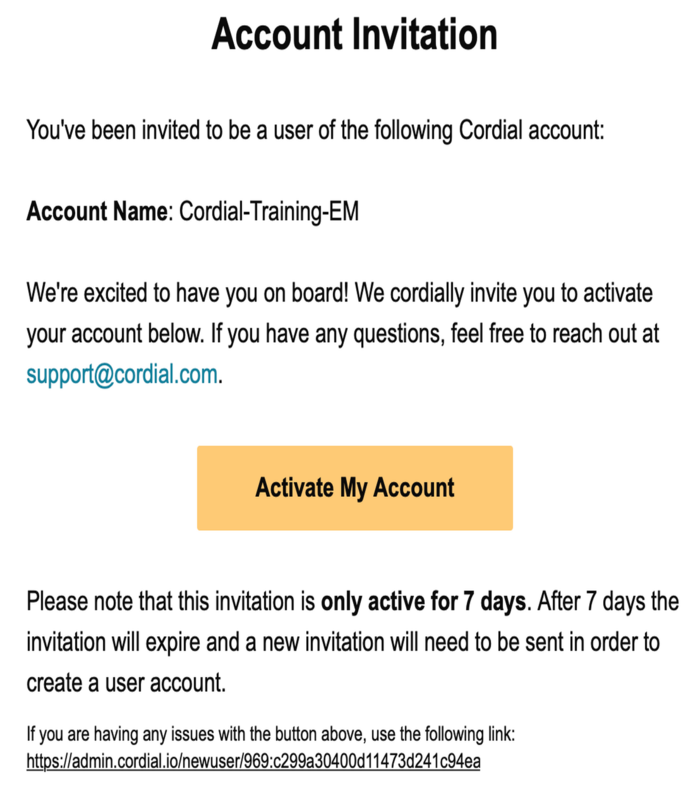 User - will not have access to Account Transports or the ability to add new users. 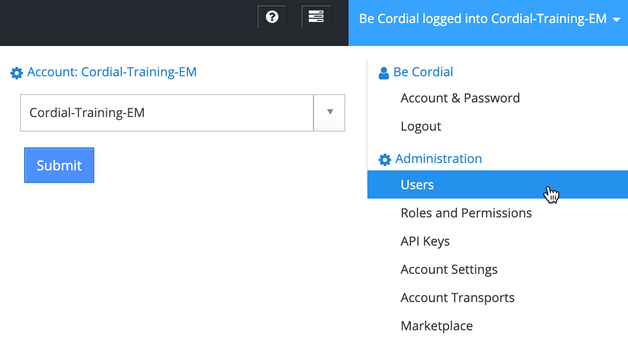 Admin - will have access to all features. Clicking on Invite User will send an invitation to the email address provided. Clicking the activate link will take you to the activation page. 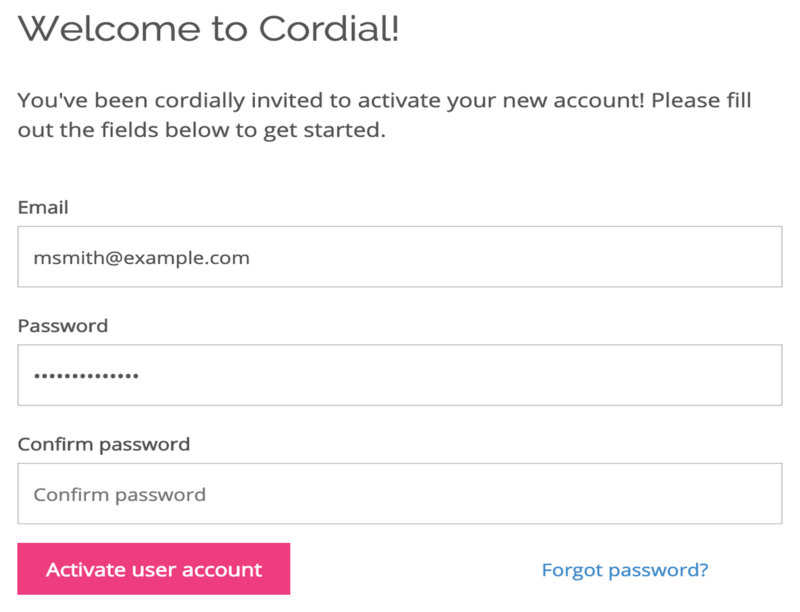 Enter a password and click the button labeled "Activate User Account". The new user has now been created. To revoke account access, hover over the arrow next to the desired user and select Revoke Access. In the next article learn about API keys.